Jojoba oil which is extracted from the plant seed is golden in colour and has a blended herbal odour. The female jojoba plant has 40-60% liquid wax. 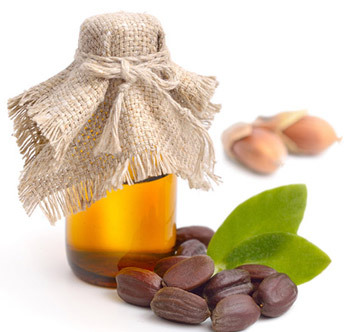 Jojoba oil is used extensively as a skin care agent and it is mostly used in concentrated form on the face because of the presence of natural collagen. The most important thing about this oil is that it can be used to heal acne mouth sores, cuts, pimples and warts. It can also be used as a makeup remover and is a very effective moisturizing agent. The advanced molecular ability of the oil makes it suitable for fragrance product.